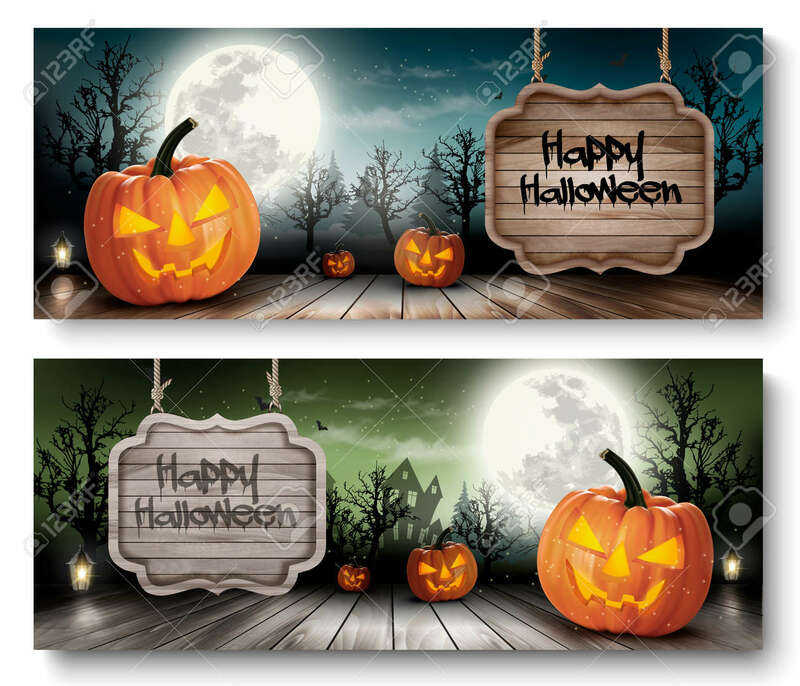 Two Holiday Halloween Banners With Wooden Sign. Vector Royalty Free Cliparts, Vectors, And Stock Illustration. Image 46674179.